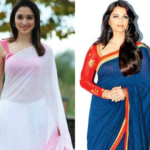 Let’s forget the days when the purpose of a blouse in any saree was limited to just play the role of upper garment. It’s time when we discover this weave and realize the need for comfort and a set of trendy aesthetic in a blouse for a complete makeover. Explore the ensemble of ravishing designer sarees online to be the fashion symbol of the era!!! The only experimenting with a blouse design has been seen at the time of wedding ceremonies or grand occasions that also just reaches to the length of the blouse sleeve. Because we never realized that what else can be done with this elegant piece of weave, apart from shifting the hooks from the front to the back. 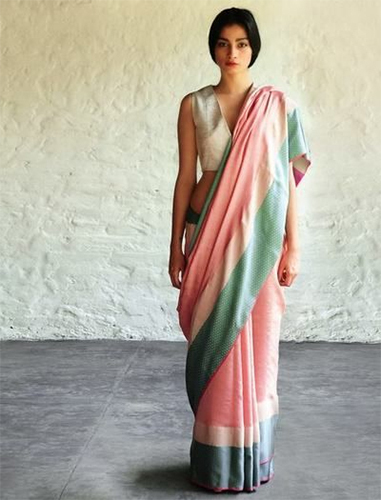 But kudos to this generation’ designers who have always seen more & more in Indian staple to unfold and adore!!! 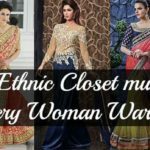 They have designed such cool blouse types to pair with sarees which can never put you in bad light and flaunt your sassy bold appeal. Get ready to stay comfortable and classy with these quirky blouse styles!!! 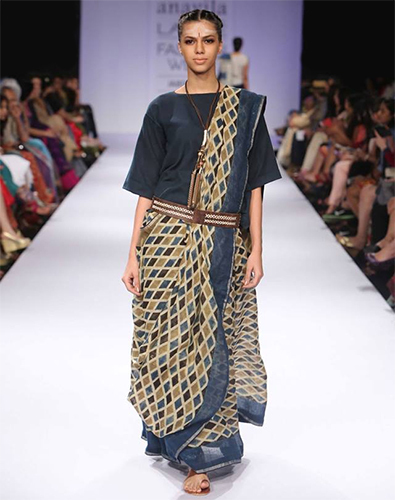 Make it clear in your head that you don’t specifically need a designer saree to make it work with such blouses. 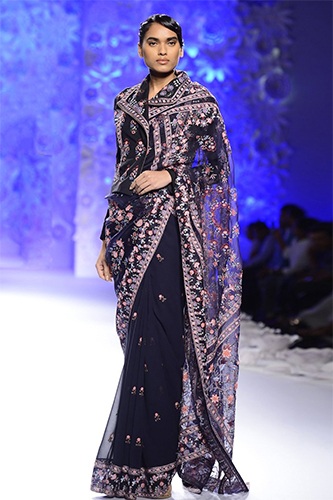 Pick your style, wear it with simple saree and make heads turn around. Get ready to make it dramatic with the traditional saree!!! 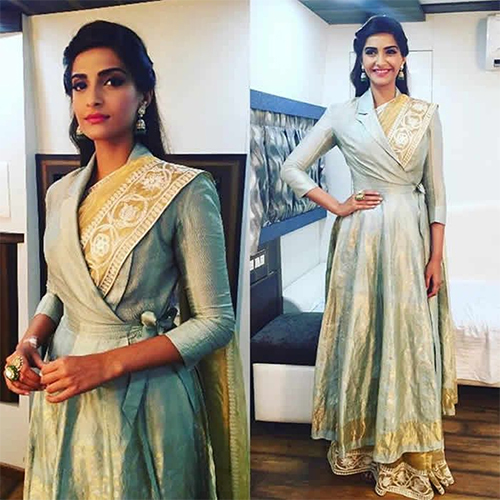 Bell sleeve, peter pan collars or handy zips need not to be selectively paired with saree. You can team up such well-tailored designs with a pair of pants or a skirt. Forget the tight fittings and uncomfortable blouse designs now!!! And the credit goes to none other than saree queen ‘Anavila Misra’. Her motive to redefine how the saree looks and its exceptional comfort has received huge applauds and appreciation from the fashion world. Big shout out to lady!!! Check out online sarees to find out the latest loose fitted blouse designs that can do wonders to any woman’s personality in a snap. They are created to put you in your highest comfort while looking absolutely stunning!!! Get ready to walk in a global appear while donning an Indian culture!!! 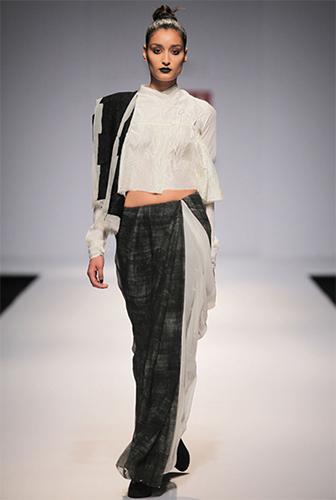 Revamp your saree look by pairing it with modern jacket style blouse and strut like a diva. 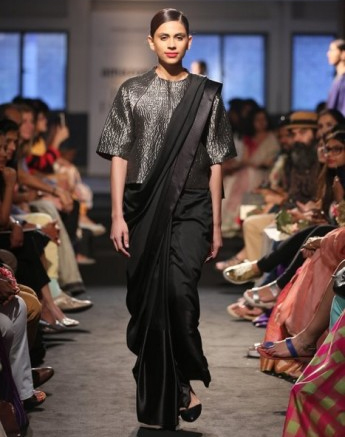 Check out designer sarees online by Rahul Mishra to have a glimpse of the bold appeal!!! 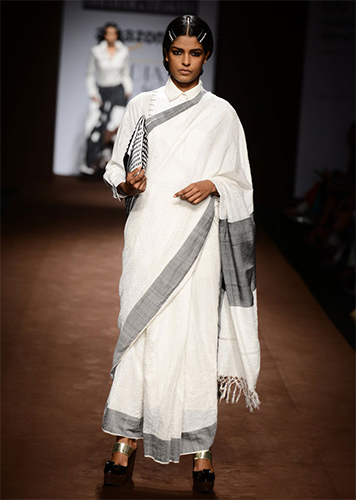 Isn’t a short jacket or a long trench coat paired with classy saree the best pick on a chilly winter day??? Decide yourself!!! Ditch everything else & slip into your forever adoring crisp white shirt!!! Walk in a sartorial style with these clean silhouettes. 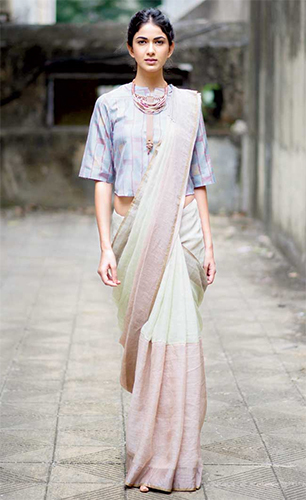 Pairing a saree with linen shirts or lined vests will give you a gamut of ideas to style your look. It’s time to add class and sharpness to your femininity. 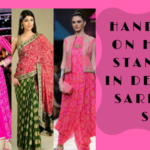 Sneak into modern and fashionable designs of online sarees to add glamour to your traditional ensemble!!! Loved the post… I am big fan of offshoulder blouses too.. I love the jacket style blouse, especially for the winter season.